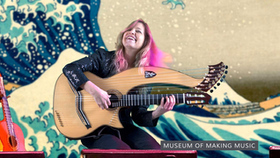 Germany's famed duo Tierra Negra and America's award-winning guitarist and harp-guitarist Muriel Anderson have found an exciting combination. The joy and passion of Raughi's flamenco guitar, Leo's pulsating rhythm and Muriel's beautiful melodies merge to create music unlike any other. 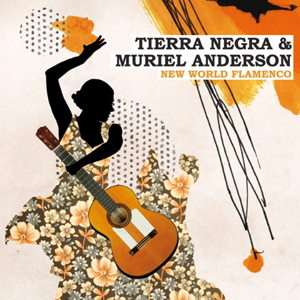 In the world of modern Flamenco, few artists have attained the heights of Tierra Negra. In fact, so influential are these two German guitarists that they're often cited as the protagonists of Flamenco Nuevo, the new wave. Tierra Negra may infuse their sound with elements of folklore, jazz and even pop, but the theme never strays far from the infectious rhythm and melody of Rumba-Flamenco. So particular about their sound are Leo Henrichs and Raughi Ebert, Tierra Negra's founding duo, that they've even gone so far as to design their own range of Flamenco guitars. These high-end, professional instruments are built to such exacting standards that the likes of the Gypsy Kings will play nothing else. Performing together for over a decade, Leo and Raughi have already recorded eight albums and undertaken tours that have seen them alight festivals and concerts throughout Europe and North America. Their compositions are featured on countless international guitar compilations and Hollywood used their music for the movie "THE PERFUME". There is persuasiveness in the melody - an infectious groove and genuine passion in Tierra Negra's music. A TIERRA NEGRA live concert is a joyous, passionate and transforming experience for the audience - truly not to be missed. 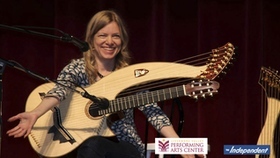 Widely respected as one of the world's foremost fingerstyle guitarists and harp-guitarists, Muriel Anderson is the first woman to have won the National Fingerpicking Guitar Championship. 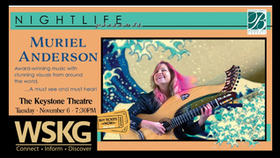 She is host of the renowned "Muriel Anderson's ALL STAR GUITAR NIGHT?" and founder of the Music for Life Alliance charity. 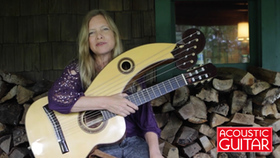 Muriel Anderson has released eight CD's, four DVD's and guitar books published by Hal Leonard, Mel Bay, and Zen-On Japan. Her music can be heard in Woody Allen's film "Vicky Cristina Barcelona." and her "Heartstrings" recording accompanied the astronauts on the space shuttle Discovery. Touring in the USA and internationally year round, Muriel's obvious joy of music and facility across musical genres is revered by guitarists and audiences worldwide. They met in a castle in Germany. Before long they were jamming together and realized there was something special happening. 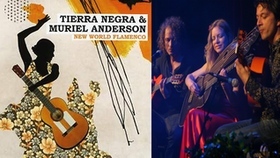 They wrote with new inspiration for the CD they would make together, New World Flamenco. 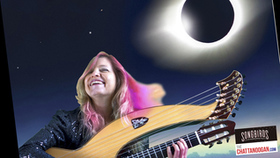 Germany's famed duo Tierra Negra and America's award-winning guitarist and harp-guitarist Muriel Anderson have found an exciting combination. The joy and passion of Raughi's flamenco guitar, Leo's pulsating rhythm and Muriel's beautiful melodies merge to create music unlike any other. Joined by drummer Danny Gottlieb, bassist Mark Egan both of the original Pat Metheney Group, and powerhouse bassist Victor Wooten, flamenco nuevo has found a new world. 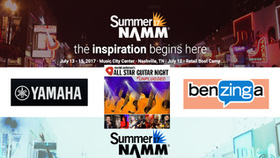 Yamaha Guitars is sponsoring Muriel Anderson's All Star Guitar Night Unplugged on the final night of this year's Summer NAMM Show, July 15, 2017. This will be the tenth year of Yamaha Guitars' involvement with this production. 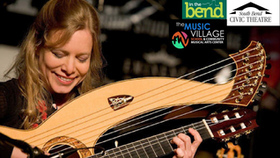 Performers at this year's event will include Stanley Jordan, Laurence Juber, Jack Pearson, Michael Kelsey, Pat Bergeson, Dan Bankhurst, Brooks Robertson, Sasho Zver, Brad Davis, Muriel Anderson, Rob Ickes and Trey Hensley. While the artists donate their time and talent, funds from sponsors and a silent auction courtesy of Sam Ash support Music for Life Alliance, a 501(c)(3) not-for-profit founded by Muriel Anderson. Music for Life Alliance provides disadvantaged children with access to instruments and music instruction in their schools. The organization also works with other non-profits distributing instruments, funds and research nationwide.